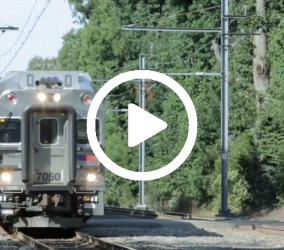 NJ Transit Safety Rules! 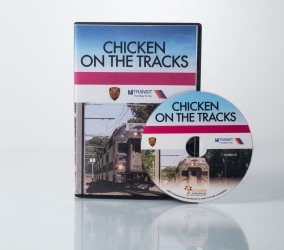 “Chicken on the Tracks” Safety Education Film | Welcome To Stokes Creative Group, Inc.
Stokes Creative Group, Inc. (Stokes), partnered with New Jersey Transit (NJT) to produce an educational short film – aimed at keeping children off the rail lines. 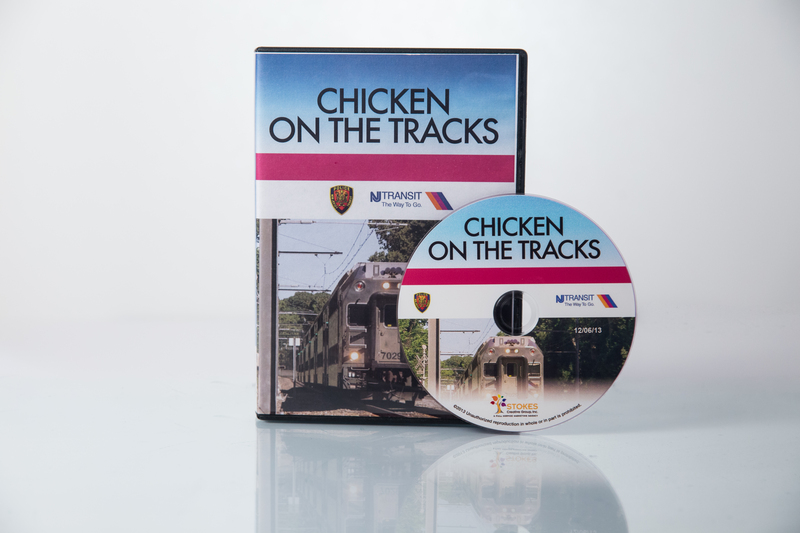 Told from a school-aged child’s perspective, the mini movie, titled “Chicken on the Tracks,” is designed to highlight the dangers of playing on and around railroad tracks. 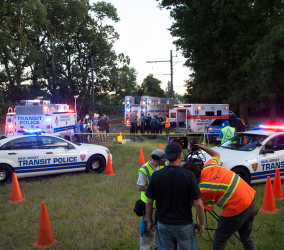 Working closely with NJ Transit’s safety education team to produce the high-end video, Stokes took track-safety training classes, held a casting call to choose the diverse cast of stellar young actors portraying the students and filmed on several locations using high-end cameras and specialized lighting to give the film a Hollywood feel. 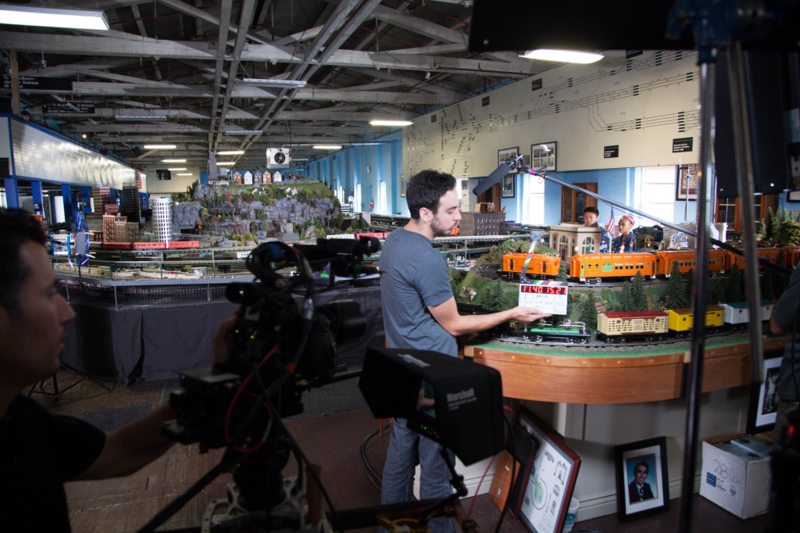 With live trains rushing by, practical special effects to perfectly time and dozens of extra school children and emergency crews to coordinate – this multiple day shoot was always full of action. 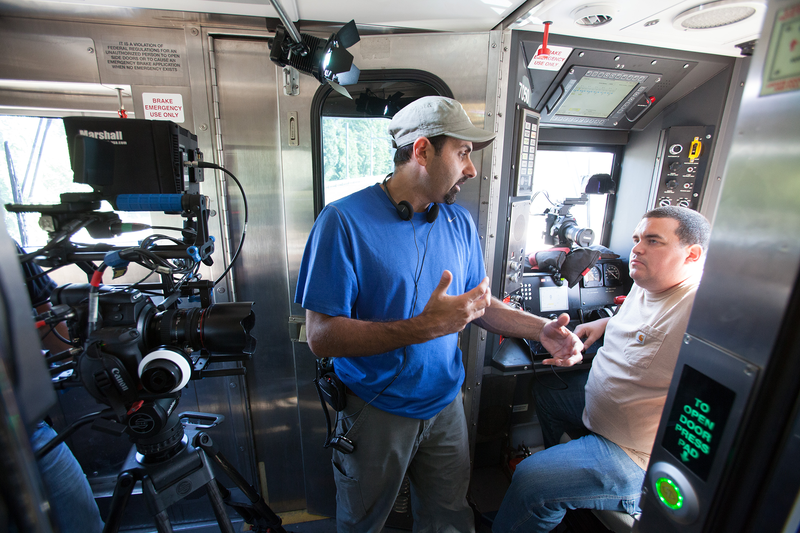 The train engineer receives final instruction from the film director. 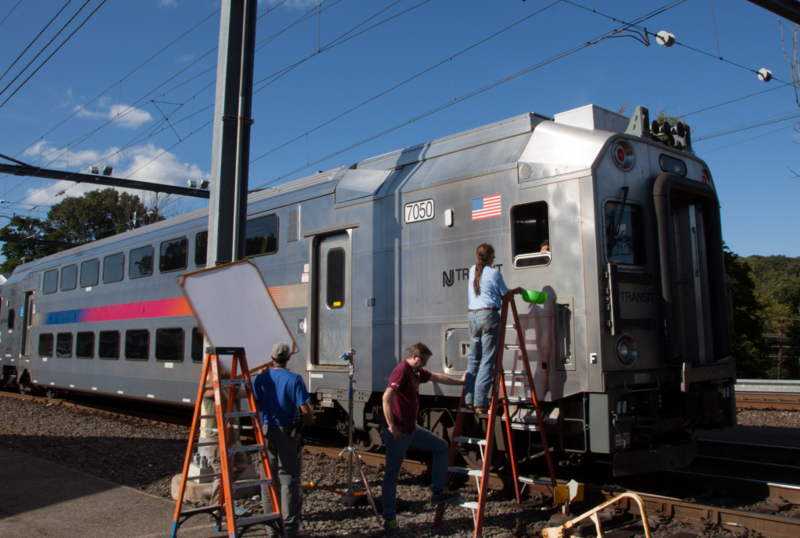 Our crew preparing a special effect scene involving breaking glass. 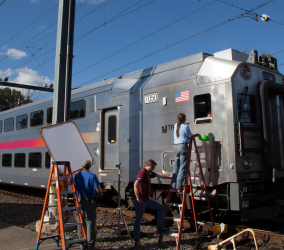 The crew gathers to film a closeup of our lead actor on the rails. 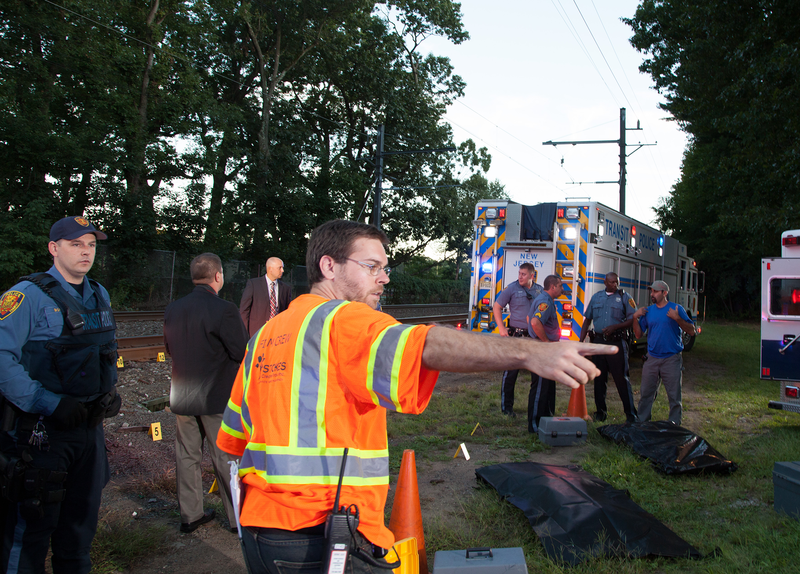 Careful coordination with all parties involved was required by our video lead, Steve Gonski, in order to get this crucial scene executed properly. 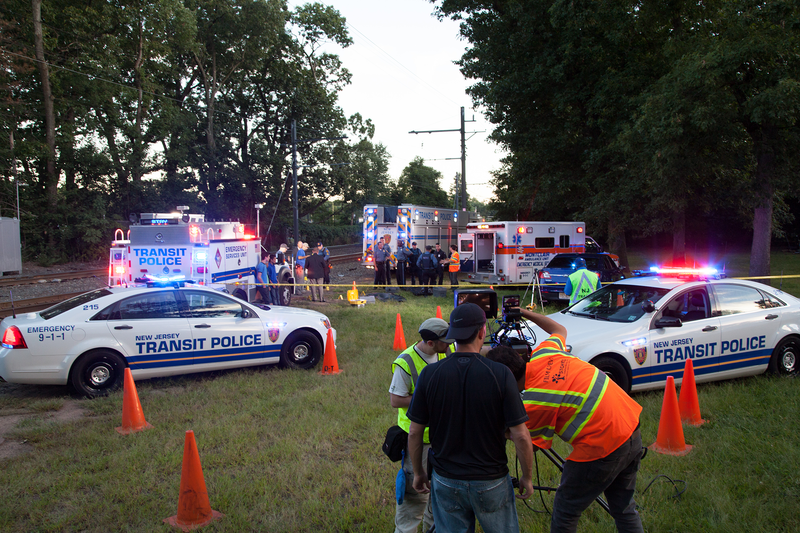 NJ Transit Police and Ambulance help set the stage for the final shot of the film. 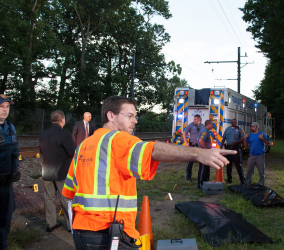 Just moments before nightfall, we began filming a complexly staged shot. 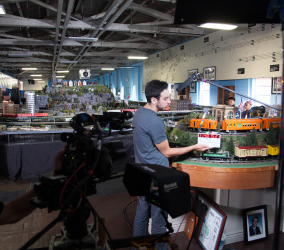 Behind the scenes at the NJ Highrailers model train club filming some closeup shots. Our main actors and crew filming a lakeside conversation scene.